Kindly Check out on the Developer guide; 2.3. Installing Apps into DHIS2 and some info from @Stian on Installing an app on DHIS2. The app doesn’t available on app store. It is on github. 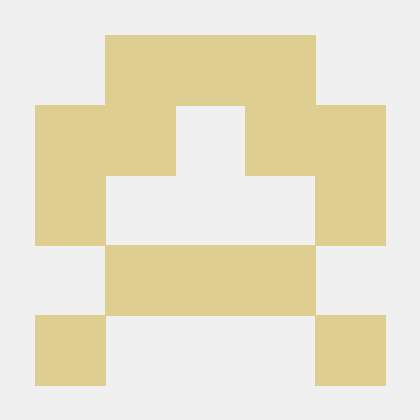 Contribute to carapai/dhis2-program-data-import development by creating an account on GitHub. Do you have screenshot of uploading flow. 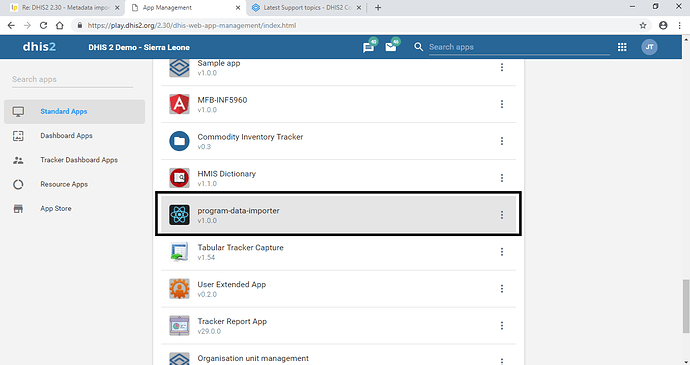 The reason is that, I have selected dhis2-program-data-import-master.zip; however, it didn’t work. I have tried it and saw the error too. Kindly give us some time as I consult on this. Hi, It needs to be compiled. After compiling there will be manifest file. 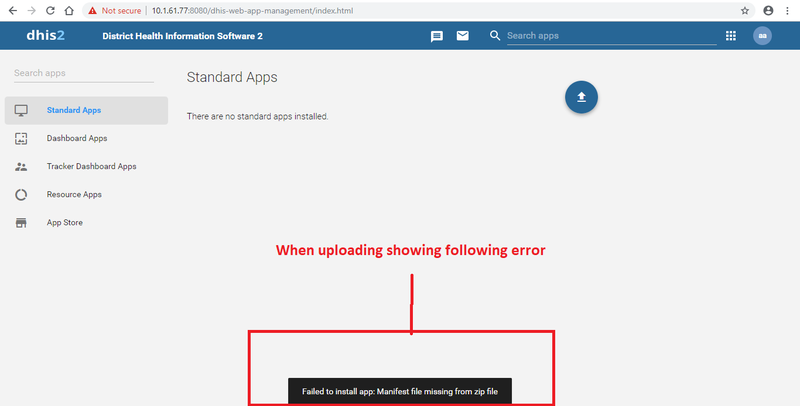 this indicates that the manifest.webapp file is missing or misplaced. The manifest file should be placed in the root of the archive (Zip file). A common error is to create the Zip archive off an outer directory. You should create the Zip archive so that the root directory of the app (the one containing the manifest file) is the root of the archive. Create the Zip archive with this level as the archive root.